Wireless Sensors, the result of two already-prominent technologies, wireless and sensors, is much more than just the sum of the parts... it's proving to be an explosive combination. They are making possible things we hadn’t even dreamed of. There are many benefits, such as installation costs often being significantly lower than with conventional sensors. But wireless sensor technology is moving at an ever-increasing rate. Two important requirements of a good sensor are fast response and high sensitivity to the thing they're sensing. And for many types of sensor, especially those used to detect trace chemicals and gases, nothing improves the response more dramatically than increasing the area of the surface where the sensing takes place. So for many types of sensor Nanotechnology will likely drive the next generation. The sensor converts whatever it's sensing (for example, temperature) into an electrical signal that represents that temperature. The temperature data is fed into the wireless transmitter where it's superimposed onto a radio frequency (RF) carrier as it's transmitted. At the receiving/processing base, some of this transmitted signal is received and the data recovered from it. The data is then fed to a data processing/storage device such as a computer or datalogger. However, some wireless sensors are more complex and more capable. They may be able to process data, store it and carry out sophisticated two-way communication with the base via a wireless network. They may be able to connect via a cellular or satellite system. They need to get power without wires and ideally, without batteries. Without batteries is a tough call. Unless they’re rechargeable, batteries will need to be replaced … a maintenance headache, especially if the sensor isn’t easily accessible. And battery size limits applications where the sensor package needs to be small, such as when a wireless sensor is to be embedded inside something... or someone! Without batteries or wires how do we power a sensor? It’s difficult, but not impossible. Fortunately some other factors are converging to form a small explosion of their own...actually, it’s more of a spark, but one that will ignite the fuse! Let’s take a look at the energy supply and demand. The burning question is... without batteries, where do we get the energy to power the wireless sensor? Well fortunately there’s energy all around us in many forms, and sometimes we can scavenge or harvest sufficient energy from the surroundings to make batteries unnecessary, unless they're re-chargeable batteries and only act as a storage medium. Potential energy sources such as heat, mechanical vibration or movement, or light can often be converted into enough electrical energy to top up the charge on a battery, or a super-capacitor, to provide a power source for a wireless sensor. That’s where we get the energy, but there’s not very much of it so something else has to happen as well. And it’s starting to happen now. It’s essential that they use very little power and are efficient with what they do use. So what is happening and what can we do to minimize power consumption? Actually, several things, and the following facts help to balance the power budget. Because of smart design, many wireless sensors don’t use very much power anyway. Power is the amount of energy a device uses every second. Technology is moving in a direction that’s reducing the amount of power needed by the electronic circuitry we use in wireless sensors. A special wireless networking standard (Zigbee) has even been produced to help support this slothful activity. It may not be necessary for a sensor to transmit every time it takes a reading, especially if the next reading hasn’t changed since the last one. And if the data isn't needed in 'real time', it can be stored in memory (buffered) and only transmitted at required intervals, perhaps every minute or only once a day. So balancing the power budget is do-able, though more difficult when the wireless sensor is on a 24/7 shift in a hospital, and isn’t allowed to sleep. In this case power may need to be transferred by another option. 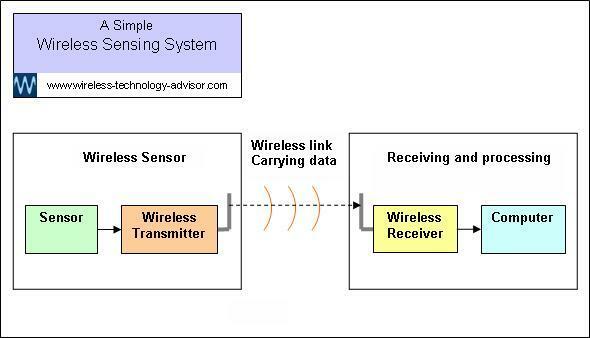 What Types of Wireless Sensors are there? Let’s split this into the two obvious functions…the wireless function and the sensor function. The sensor reads the thing you want to measure, such as temperature, and converts it to data. Click here if you want to know about the many other types of sensors. 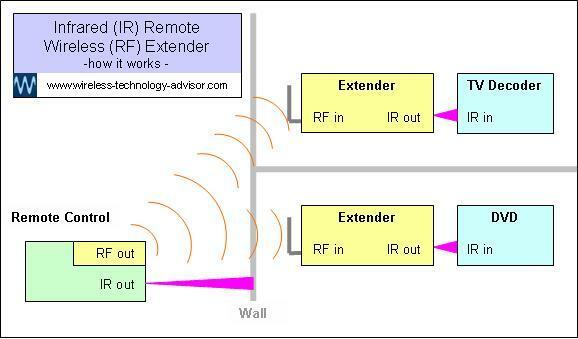 The wireless part involves the transmission of the data, without the use of wires. As the technology progresses, more and more sensors will have the wireless function built in. And many of those that don’t have this already may have it added externally. How do we know that a sensor is accurate? It's essential that sensors are telling it the way it really is. Bad measurements give bad data... and this can lead to bad decisions! Calibration is where you compare the results from your sensors with a superior quality measuring instrument. This reference instrument has traceable links back to a national standard. 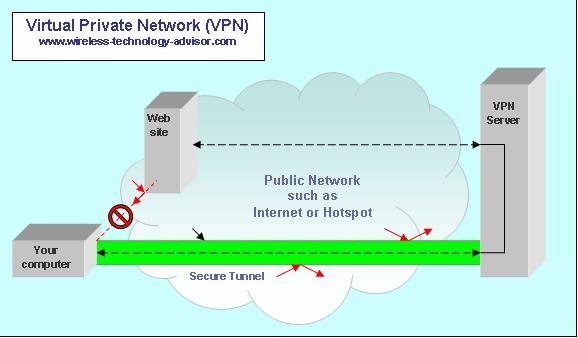 Organizations such as the National Institute of Standards and Technology (NIST) provide these types of service. Knowing you'll have early warning if a water pipe bursts, or if a tap is left on and a basin begins to overflow, can provide peace of mind... especially if you're away from home and water is flooding the upstairs bathroom floor above the room containing the expensive Chippendale antique furniture. Wireless sensing can provide an inexpensive, flexible and elegant solution. You can now place (no wires... nothing to install) a wireless sensor at each critical location. If a sensor detects a leak, it will not only activate a 'beeper', but if you're away from the house it can send an alarm notification to your mobile communication device or desktop computer, telling you exactly where the leak is. Because mechanical bearings on machinery wear or break, eventually you need to replace them. But you usually don't know when this will be necessary. Maintenance is expensive and if the machinery is part of a production process, any downtime will affect profitability. But did you know that by monitoring the vibration levels and temperature of machinery, developing mechanical problems may be foreseen and servicing timed to minimize disruption? In this way, you get advanced warning of equipment failure which puts you in control as you can then manage the maintenance and any down time. To do this, you'll attach vibration and temperature sensors to each machine, and these will be wirelessly connected to a network that will send data to a computer-based management system. Networks of wireless proximity sensors can sense when parking spaces are occupied and you can install these easily in existing indoor or outdoor car parks to improve traffic management. A completely automated system, using the information from the sensors, can control the inward traffic flow by using displays to guide people to vacant parking spaces. Large office buildings use a lot of electric power...and much of it may be wasted. Imagine a fully automatic system that could adapt to the changing conditions around it. With a distributed sensor network you can now provide the information needed to control and reduce power usage significantly, cutting costs dramatically. By sensing when offices are vacant. By sensing light levels, air temperature, carbon dioxide concentrations and other key parameters to control lights, heating and ventilation, to optimise the working environment and minimize electric power usage. There are a number of systems available where an elderly person living alone, and in need of urgent help, simply presses a button on a wrist bracelet or pendent. But what if that person is unconscious or otherwise unable to press the button that might initiate a life-saving alarm? Add a sensor or two, and some electronic intelligence, and the system could automatically initiate a call for help. An acceleration sensor would detect the characteristic signature of a fall. A pulse sensor might detect an abnormal heartbeat. Types of Sensors You’ll be amazed at just how many types of sensors there are...and growing rapidly. But some even more amazing sensor types are about to emerge. Wireless Torque Sensors make a difficult task easy. They are doing the seemingly impossible, forcing a complete turnaround in the way we can now get power to, and a torque signal from a sensor attached to a rapidly rotating shaft. Wireless Gas Sensor lets you measure the concentration of gases. If they’re potentially explosive or toxic, wireless sensing lets you measure gases at a safe distance, perhaps in inaccessible places, providing real time early warning... often with low set-up and operational costs. Wireless Temperature Sensor - great if you want to record the temperature of something that’s moving, too hot or too cold for comfort. Or if you can’t or just don’t want to be there, wireless temperature sensing makes it possible. Why not bring the temperature back to where you are, when you want it, without having to be there or putting up with the inconvenience of wires. 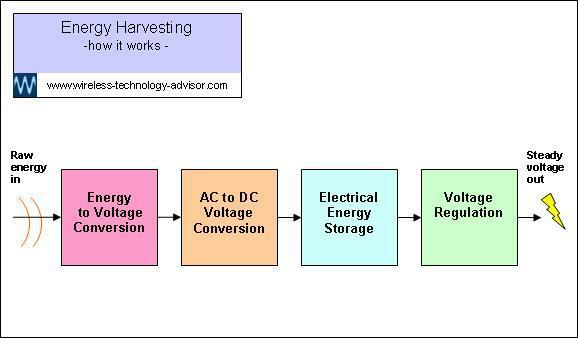 Energy Harvesting can eliminate the need for batteries in some low-powered electronic devices such as wireless sensors. And if you don’t need access to change batteries it presents new exciting opportunities.